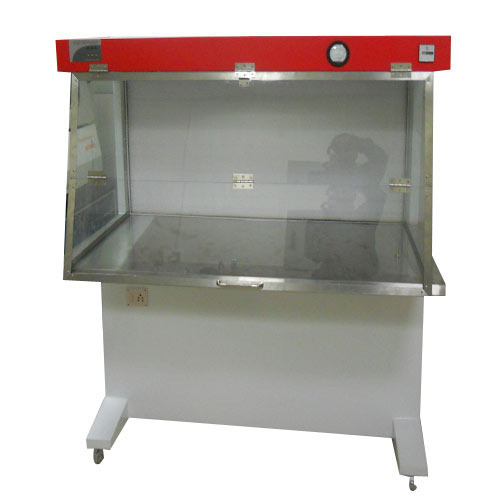 Our organization offers a precision engineered range of Vertical Laminar Flow Cabinet, which is manufactured in line with the international quality standards to ensure optimum quality in the final product. Our rage is safe to use as and finds application for bio-assays and sterility testing, microbiological manipulations, microbiological labs and other research centers engaged in investigative work with sub-toxic material. The manufacturing environment is critical for the quality product output and the parameter swaying the clean room includes air movement and particulate contamination. Unconstrained environment can lead to poor product quality. Filtration and conditioning of air with HVAC concept can support the system to the desired level. Our unique methodology in our manufacturing process supported by civil, mechanical, electrical, electronics, concepts and modern technology leads to an immense satisfaction of our end users. Designing, Constructing and furnishing Ultra Clean Modular Operation Theatres. Execution of Project based orders. Manufacturing and sale of wide range of Clean Room Products. Evniable After Sales Services - General Maintenance & AMC. Right from the procurement of raw-material to the final despatching, every production rocess is carefully monitored by our quality anylysts in order to make our products withstand the international standards. The unit has equipped with requisite facilities supported by upgraded machines and experienced technocrats. The Company has yielded merit of its excellence in meeting out the high quality execution and accuracy in customization duly witnessing the prestigious order obtained from various Government Departments such as IIT-Madras, IIT-Khargpur, Ministry of Defence, Central Marine Fisheries Research Institute, Electronincs Corporation of India Lts, Export Inspection Agency, University of Kerala, Paschim Banga Go-Sampad Bikash Sanstha, Office of the State TB Control Office-Govt. of Puducherry, Department of Bio-Technology, Pasteur Institute of India, etc.